A simple craft for the glass jars and vases you have hanging around at home. Just paint them and now they can be displayed. Clean vase with hot, soapy water. 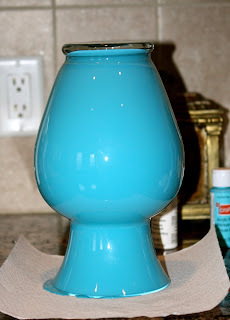 When completely dry, pour paint into the inside of the vase. Swirl to coat vase completely. Then pour out excess paint to container for reuse. Place vase upside down on paper towel for about 20 minutes. Wipe the excess paint from the lip of the vase with a wet paper towel. Let dry upright for 24 hours. Note : You can no longer use water in these vases. I love the vases. That's a great way to turn something old into something new and unique. Love it! I'm a new follower. So pretty! Why can't one put water in it afterwards? THanks! Thanks For The Nice Information! We Provide The Best All Types Of Crystal Products in Reasonable Prices. For More Info Please Check Our Website Buy the Best Moser crystal, lead-free crystal and crystal vases at Best Price from the Silver Room India. Shop Online Now! Thank you so much for visiting my blog. I hope you decide to stick around and follow along! I am an ex-biologist, current mother of two kids and a Goldendoodle. 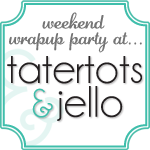 I love crafting, baking, making jewelry, reading chick lit and sharing all my projects with you!